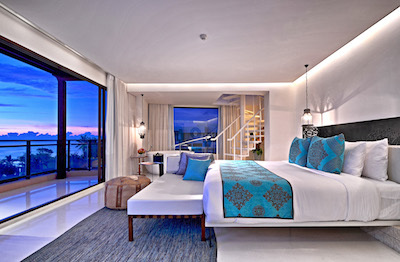 It’s hard to stand out in a sea of selfies these days, but the unparalleled architecture of Marrakesh Hua Hin Resort & Spa provides something uniquely outstanding. 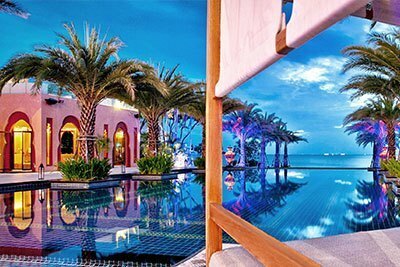 Get the clicks and likes you seek with a breathtaking self-image against the most exotic yet realistic backdrop in Hua Hin. 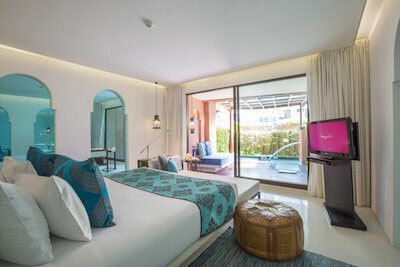 To escape from the outside world’s hustle and bustle towards the place of pleasures and timelessness, Marrakesh Hua Hin Resort & Spa has magically transformed Hua Hin seaside into an other worldly oasis with the infinity pool. It is set amidst the rows of palm trees and colorful tropical foliage upon the grand background of Neo-Moroccan architectural style. Powdery white sand beach with activities. Marrakesh Hua Hin Resort & Spa is perfectly located in one of the best beach areas of Hua Hin – the quiet south end of Hua Hin beach, offering guests to take advantages of everything; the ultra-wide, least-crowded beach area with no sharp rocks, various activities on the beach such as horse riding, kite surfing and giving alms to a Buddhist monk at sunrise. 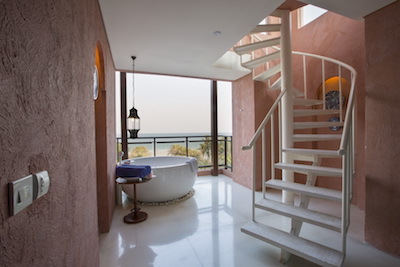 You can stroll along the beach in the morning or enjoy sunset views exclusively as if at your private beach. 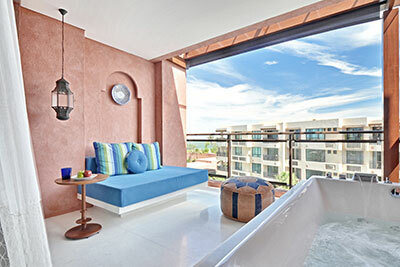 All suites make room time sweeter. 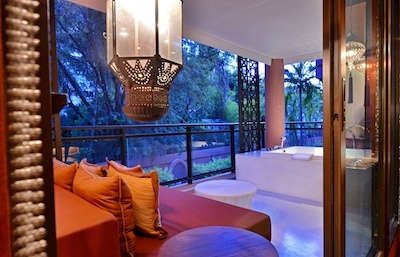 Marrakesh Hua Hin Resort & Spa suites are oases unto themselves, all with large terrace balconies fitted with pools or Jacuzzis for two. 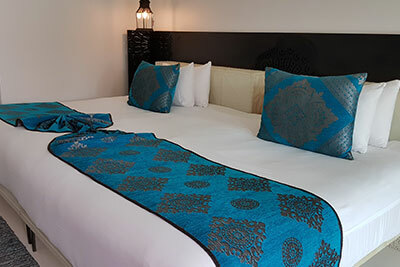 Our large and extremely comfortable beds are an invitation to lounge, read, or nap on your own unbounded schedule. You never have to leave your room – but if you do, there’s nothing better to come back to. You’ll never look better for a photo, so make the background match. Pre-wedding photography gets more preparation than any other in your life – for good reason. Commemorating your love and the moment of union is a timeless treasure that accepts no compromise. 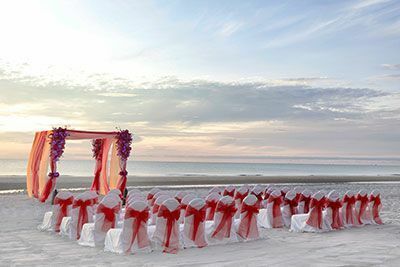 Marrakesh Hua Hin Resort & Spa provides the backdrop of a lifetime, with glorious eternal architecture and finely finished textures and surfaces that are, like your wedding, perfect to the smallest detail. We can provide a range of tailored-made or signature wedding styles for photography, from nautical theme to Arabian nights. When the sun goes down, it’s playtime. 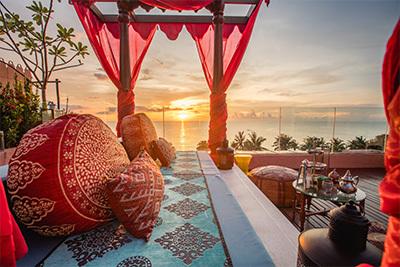 Marrakesh Hua Hin Resort & Spa’s Al Bahr Beach Bar is true to its name, meaning "the ocean" in Arabic. 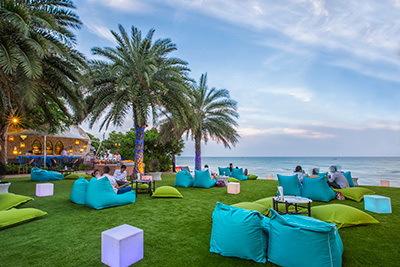 Imaginatively styled to be a dome-themed heaven by the sea for the travelers seeking the celestial tastes of our signature cocktails and mocktails, Al Bahr offers a green grassy lawn adorned nightly with beanbags and illuminated by colorful lights. Live music with an international flair completes the ultimate chill out spot that elevates beach culture while maintaining a sunset view of it. Time for tea takes a twist. The sleepy afternoons of a great holiday are enlivened with our colorful, flavorsome, exotic-looking desserts served with a traditional Moroccan mint tea ritual. Pretty enough to be photographed and served nowhere else in Hua Hin, our pastries are original creations bringing a light and lively sweetness to your days. Desert style dining by the sea is its own oasis. Hua Hin’s seaside takes on a much more exotic atmosphere with our signature romantic beach dinner. 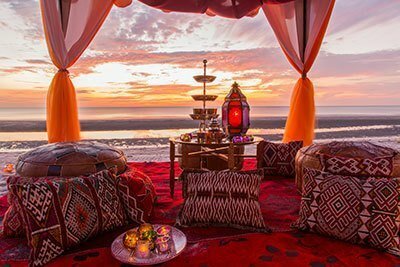 A Moroccan style tent, flickering warm candlelight and the cool sea breeze swaddle you with seclusion and serenity, while rolling sea wave sounds, the moon, and the celestial tastes of exotic cuisine and wine complete an atmosphere of endless possibilities. Those who follow the stars will find their way here. 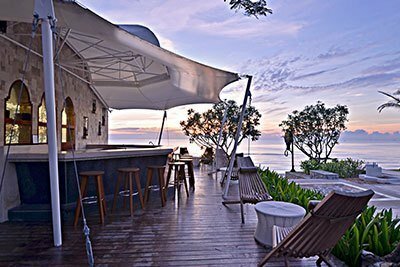 Sought after as a location shoot for TV commercials and fashion shoots in the top magazines, our supremely beautiful hotel has evolved into a must-go spot for celebrities and famous couples seeking escape in the trendiest place in Hua Hin. Rub shoulders with the in crowd or dine and chill next to famous people letting their hair down. The deepest relaxation comes from the greatest distance from ordinary. 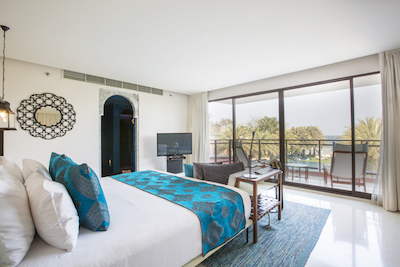 Authentic Moroccan, exclusive in Hua Hin. Crafted in detail from the original Moroccan Hammam bath experience, with Arabian beauty rituals of and the finest argan oil from the world heritage plantation in Morocco, Hammam spa is now the signature treatment at Noora Spa. Meticulously based on the original treatment, 100 percent pure argan oil of Noora Spa is a rare plant extracted from the kernel of argan fruit known in skin-care circles as “liquid gold” and legendary for its myriad of benefits to the skin.